You may have frequently been advised by your dentist to brush your teeth with toothpaste that’s rich in fluoride. But why should you do so? And what makes fluoride essential for your dental health? Well, fluoride is actually a naturally occurring mineral that is found in most bodies of water such as oceans and rivers. There have been many studies that points to the fact on how fluoride is able to decrease the number of cavities that children and adults get. It is also the same component that assists in repairing whatever tooth decay is happening in the oral cavity. Thus, it shouldn’t surprise you why your dentist would keep reminding you to brush your teeth with fluoride rich toothpastes. When you and your child are on fluoride treatment, you need to be vigilant about the amount of fluoride you’re taking. Just like with all things, too much of everything is harmful. And this is true for fluoride use because it can harm you and your child when the mineral is used incessantly. In fact, a condition known as fluorosis may happen, which results to appearance of white specks which can be seen all over the teeth. There are so many ways you can benefit from the protection that fluoride gives to you. The easiest way is to use toothpastes that are rich in fluoride. Brushing your teeth with fluoride can give your teeth protection for hours, which is good enough until the next time you eat and brush. 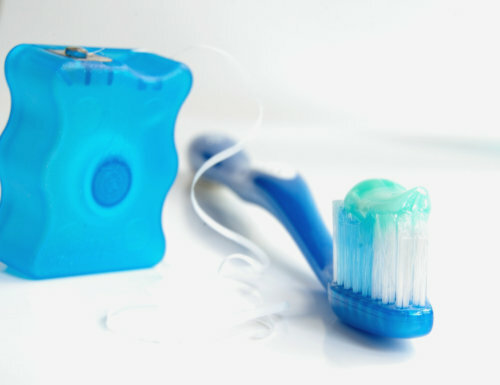 However, it is important to consider only using a pea size amount when brushing. Further, remind your child to never swallow the toothpaste after brushing as it can cause fluorosis. Aside from toothpaste enriched with fluoride, there are also supplements available at St. Mary Pharmacy which you can actually take. However, the best way to get the most potent fluoride protection is from your dentist through the professional fluoride treatment. It can help protect your teeth for a long period of time, and thus prevent any decay to occur. By getting fluorinated products into your teeth, you are assured that the mineral will help make your chiclets resistant to acids that are being released by the bacteria in your mouth. Taking of supplements, brushing toothpaste rich in fluoride, and using mouth rinses that are fluoride infused are some of the best practices that you should always practice. You can always seek guidance from your dentist and even most Pharmacies in Palm Harbor so you can have a good overview about the use of fluoride. To keep your teeth healthy, pay attention to what you put on it. This entry was posted in Pharmacy Services and tagged Fluoride Facts, fluoride infused best practices, Health tips, Healthy lifestyle, professional fluoride treatment. Bookmark the permalink.